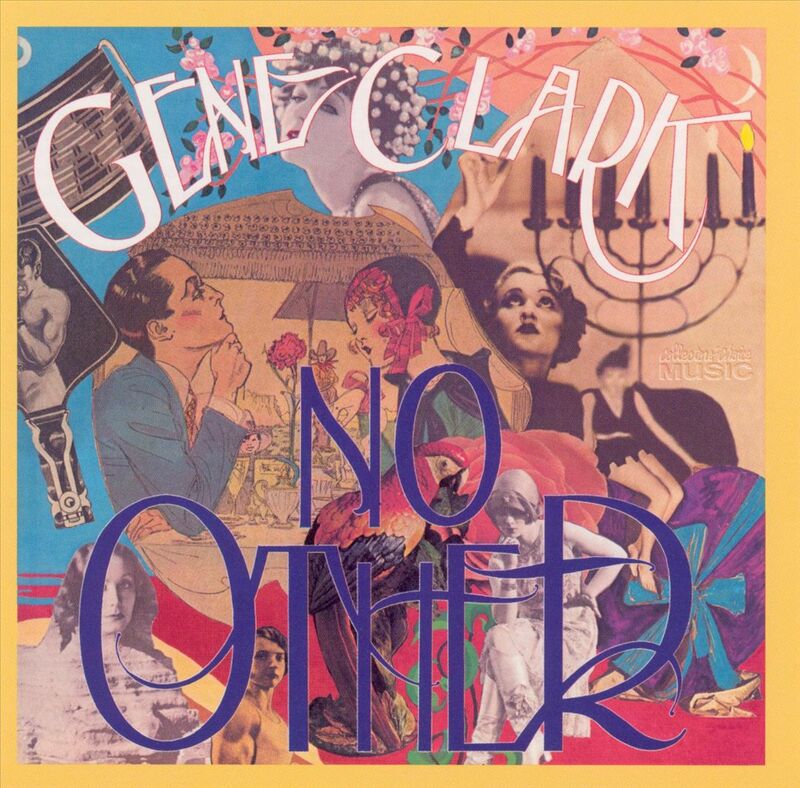 GENE CLARK — NO OTHER – IS YOUR CLAM IN A JAM? Gene Clark was one fifth of the original line-up of the Byrds and a third of the original songwriting trio with McGuinn and Crosby. A folkie at heart, his contribution to the Byrds catalog often focused on beautiful melodies and impossible love songs. After touring extensively and being the biggest band in America for a year, Clark’s fear of flying (ironic for a Byrd) led him to get off a plane and quit the band just as they were on the cusp of a serious artistic breakthrough with their Fifth Dimension album. During those sessions, Crosby who was flying high in every which way even wrote a couple of lines on the incident on his tale of having to deal with others’ paranoias, Psychodrama City: “Me and my friends got on a plane/One of my friends got off again/To this day don’t know why/He got on at all, if he did’t really want to fly”. After a couple of solo albums, in 1974 he released what is by many considered his masterpiece, No Other although it was heavily panned by the critics and public alike upon release. After a residency at The Troubadour playing in former band-mate Jim McGuinn’s backup band, he was spotted and signed by David Geffen’s Asylum Records and given Thomas Jefferson Kaye as a producer. The cocaine fueled the sessions, led to excessive layering and instrumentation -you know that scene in the Dewey Cox movie when he wants an army of Didgeridoos and Theremin? Well that’s partially inspired by what was happening on No Other, they ended up spending around $100’000 on the album. This excess was not well received by critics, Geffen never promoted the album in any way and it was discontinued from the Asylum catalog a mere two years later. Craziness aside, No Other remains one of the better things to come out of the Californian mid 70s, its intricate layering and eclectic mix of instruments and sounds work spectacularly to create his life’s opus. You can just imagine Gene Clark, sitting on a cliff in his LA home, staring at the ocean, a smile on his face and this music playing in his head. It’s beautiful record, and truly like No Other.